Single Sentence Summary: An examination of Columbia from 1993-2013, years the country was plagued by kidnappings, paramilitary activities, guerrilla warfare, and drug trafficking. Primary Characters: The Lucky Ones is filled with many characters, but none more prominent than any other. Instead, Columbia, during a time of civil war, is its star. Publisher’s Synopsis (in part): A prismatic tale of a group of characters who emerge and recede throughout the novel and touch one another’s lives in ways even they cannot comprehend, The Lucky Ones captures the intensity of life in Colombia as paramilitaries, guerrillas, and drug traffickers tear the country apart. Combining vivid descriptions of life under siege with a hallucinatory feel that befits its violent world. 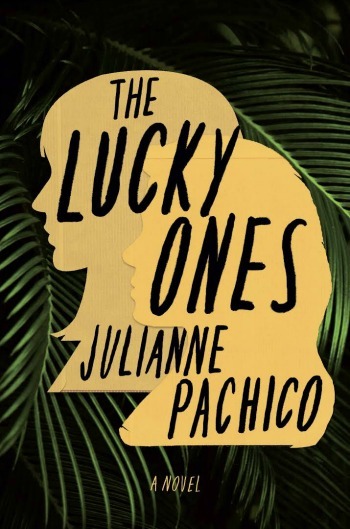 Review: Julianne Pachico took on a huge topic for her debut novel, The Lucky Ones. Having grown up in Cali, Columbia, one might imagine that Pachico may have experienced first hand some of the events in this story. She had to have been acutely aware of many others. The novel was beautifully crafted, with no doubt as to the authenticity of the stories she told. Through a series of chapters that fit together like puzzle pieces, Pachico created a vivid picture of Columbia and its people in its darkest years, 1993-2013. 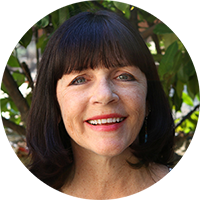 The Lucky Ones read like a series of short stories – related, but not fully connected. Many of the chapters featured students and staff from an American School in Cali. These were the stories that I most enjoyed. The first chapter, Lucky, set a serious tone for the entire novel. In it, teenage Stephanie is left alone with her housekeeper for the weekend. Her mother’s parting words to her are positively haunting. Scary! (Even more so when Angelina is nowhere to be found the next morning.) In Lemon Pie, Pachico uses Mr. B., one of the school’s teachers to examine the futility of life in captivity. Kidnapped five years earlier and promised release over and over, Mr. B. has been reduced to teaching classes at the guerrilla camp where he’s held. His students? Leaves. Twigs. Rocks. Ferns. His subject? English literature. His sanity? Questionable. Girl at War by Sarah Novic – The country embroiled in civil war in this novel is Yugoslavia with the story centering on one young girl who must fight to survive. The Seamstress by Frances de Pontes Peebles – This, a long book, tells the story of two Brazilian sisters, one abducted and the other married into the family of a politically powerful man. Note: I received a copy of this book from the publisher (via NetGalley) in exchange for my honest review. Disclosure: There are Amazon Associate links included within this post. I had this on my radar, but will probably skip it. Too many other things out there I want to read and don’t think I’ll add this oe since it was only a B for you. Jeez – March has made me super picky! While I know they are a tough sell, from a marketing perspective, I think this might have been even better as a short story collection. I completely agree that some of the stories/chapters could have been omitted and did nothing to add to the work as a whole. What phenomenal stories, though, right? Wow. The Lucky Ones was definitely an educational read for me! What a great review! I’ve been mulling this one over in my head since I finished the book, but was not sure how I’d explain it. You nailed it. I thought ti was incredibly well-written (rabbits aside! ), but I did spend a lot of time trying to link up the characters and dates- kind of like when I read The Shore. Thanks, Catherine. I’m not generally a fan of short stories, so The Lucky Ones was a nice middle ground. Looking forward to your review.